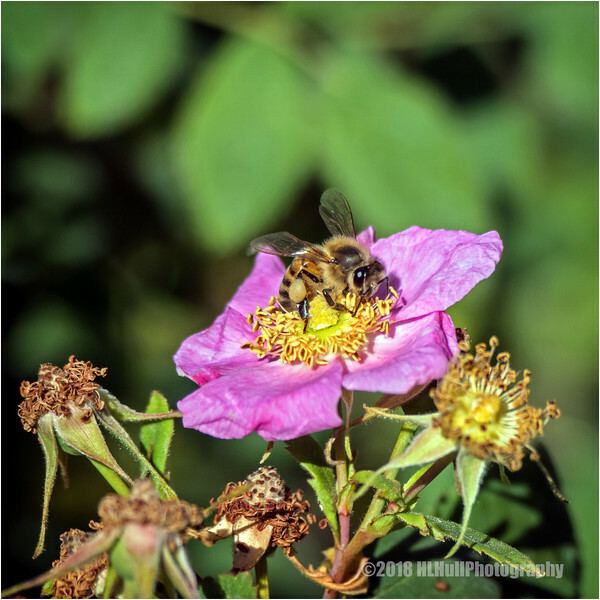 Nice to see the bee out there in the roses--we need every one we can get! Lovely lighting and great macro work. Busy, indeed.......living up to its name!